BioCompLab devotes to the development of novel databases, analysis tools, methods and webservers and knowledge mining from biomedical and systems biology data. 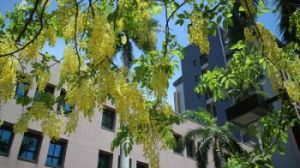 Students interested in Computational Biology are welcome to join us. Tung et al. (2018) Mechanism-informed Read-across Assessment of Skin Sensitizers Based on SkinSensDB. Regulatory Toxicology and Pharmacology, in press. Wang et al. 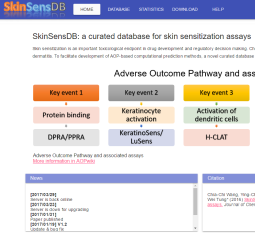 (2017) SkinSensDB: a curated database for skin sensitization assays, J Cheminformatics, 9, 5. 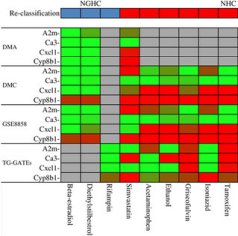 Huang and Tung (2017) Identification of consensus biomarkers for predicting non-genotoxic hepatocarcinogens, Scientific Reports, 7, 41176. Address: Room N515, First-Teaching Building, No. 100, Shih-Chuan 1st Rd., Kaohsiung, 807, Taiwan. (c) 2013-2019 BioCompLab. All rights reserved. Design by nodethirtythree + FCT. Images by Fotogrph + OCAL + PDB.